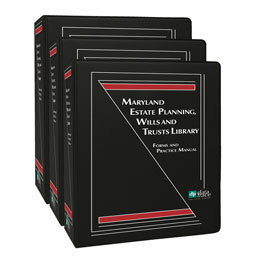 Prominent Maryland attorney, Aryeh Guttenberg, Esq., has drawn from his extensive experience to bring you insightful strategies and relevant forms for virtually every estate-planning situation you may encounter in this newly revised three-volume manual featuring a bonus CD with more than 370 electronic forms. 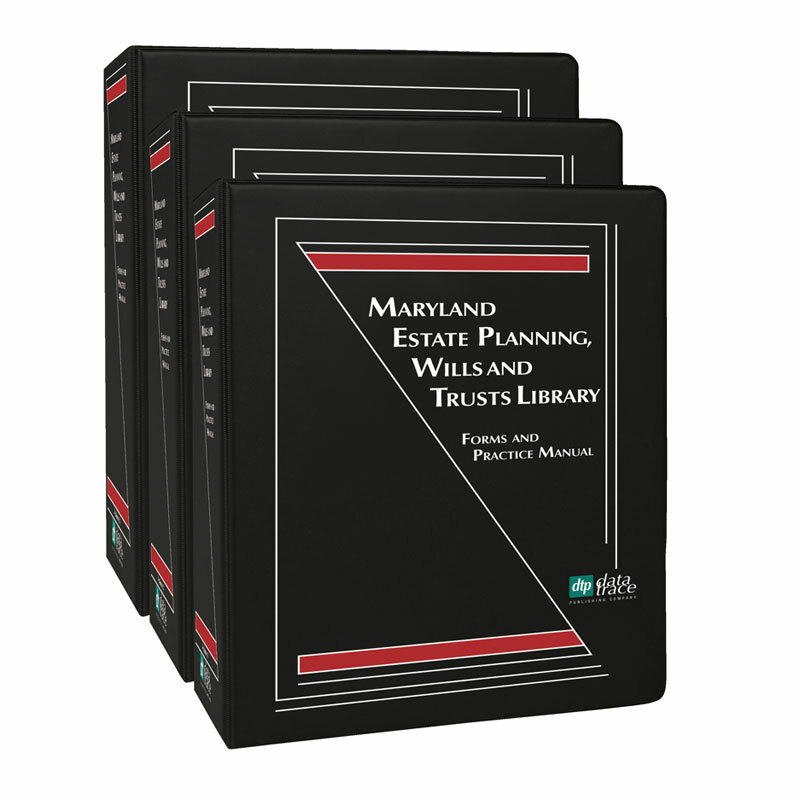 This extensive, updated Manual, featuring more than 1,660 pages of content, will help you stay current and efficient by providing appropriate statutes and regulations—complemented by thorough discussions and analyses of the changing federal and Maryland state laws. Plus, you’ll be expertly guided through an extensive selection of wills and trusts forms using an easy-to-follow, situation-oriented format. Included are client presentation charts and customizable electronic forms for wills and trusts as well as explanations and planning strategies for estate, gift, and generation-skipping tax. New sections on drafting for flexibility to respond to current and future estate tax changes, including flexible strategies with sample forms to respond to increasing estate tax exemptions and achieving basis step-up through estate tax inclusion. Discussion and new forms to achieve step-up at a trust beneficiary’s death. “Flexible” forms authorizing distributions to charity within a trust to reduce high trust income tax rates, and empowering trustees to decant, distribute, merge and terminate trusts. Forms dealing with voting and decision-making among trustees. Provisions broadening the relationship between guardian and trustee of minor children as well as provisions for “declination” of trustee to achieve preferred trustee succession. Portability developments including the election and impact on Maryland estate tax. Aryeh Guttenberg, Esq., is a member of Guttenberg & Franklin, LLC in Baltimore and continues to devote his law practice to estate and trust planning, taxation, and administration as well as strategic planning and drafting for family wealth transfers and preservation. Mr. Guttenberg is a fellow of the American College of Trust and Estate Counsel. Mr. Guttenberg also served as an adjunct professor at University of Maryland School of Law, where he taught a course in estate and gift taxation. Mr. Guttenberg also served on the Section Council of the Estates and Trusts Law Section of the Maryland Bar, where he was also a co-editor of the Section newsletter. He is the author of numerous publications in the areas of taxation and estates and trusts, appearing in the leading treatises and periodicals, including Bender’s Federal Tax Service/CCH, The Journal of Taxation, Taxes, The Review of Taxation of Individuals, and The Daily Record. He has also served on the Editorial Advisory Board for Warren, Gorham and Lamont and has lectured at several estate and tax planning conferences. He received an LL.M. degree in Taxation from New York University School of Law and his J.D. with honors from the Benjamin N. Cardozo School of Law, where he was an editor of the Law Review. He is a member of the Maryland and New York bars.